As agricultural irrigation consumes 70% of the world's freshwater, this project will address one of the most pressing needs in environmental sustainability. Emerging sensing technologies such as UAVs equipped with heterogeneous sensors can provide farmers with detailed maps of water use and ground conditions. However, closing the sensing-actuation loop to adjust irrigation at the plant level remains an unsolved challenge. Some proposed solutions rely on networks of motorized wireless actuators that are costly and prone to failure in field conditions. This project will investigate an alternative, RAPID|Robot-Assisted Precision Irrigation Delivery|a co-robotic approach where a team of humans and robots move through the fields to adjust low-cost adjustable drip irrigation emitters at the plant level. RAPID will be designed for cost-conscious farm managers to be retrofit to existing irrigation systems and incrementally expanded to increase irrigation precision and plant yield, reduce water usage, and with robots, permit thousands of emitters to be incrementally adjusted during nights and weekends. 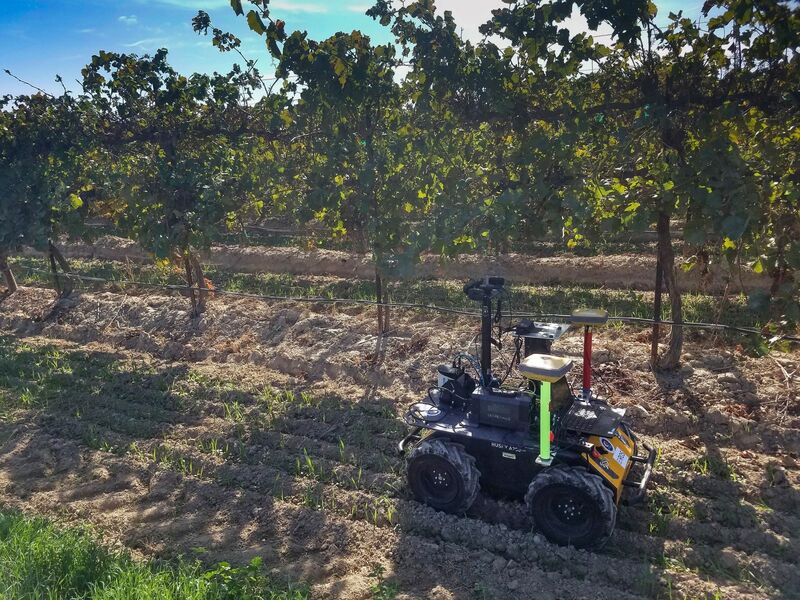 The project will involve the design, development, and evaluation of a series of prototypes of low-cost, robust co-robotic systems compatible with existing drip irrigation infrastructure in vineyards and orchards. The project will build on prior work in irrigation modeling and develop feedback algorithms compatible with available sensing technologies using diffusion models to optimize desired emitter settings. The project will also extend results in Orienteering Planning to advise humans and guide robots about when, where, and how to act to achieve desired field conditions at the plant level. Field evaluations will be performed with farm managers and growers in the wine producing regions of California (Central Valley, Napa, Sonoma, and Mendocino Counties).